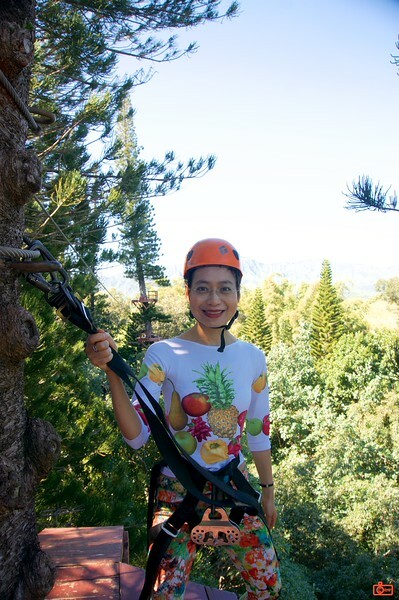 Rosa was the first person they had ever seen who was zip lining in heels. Of course she was! We were 80 feet up in the trees. The hat barely fit over her hair bun.